Fascinated by the design process? Conor Coghlan, a recent architectural graduate from the Harvard Graduate School of Design, has debuted a YouTube series documenting his development of his Bow Spring Chair. The series, aptly named “How to Make a Chair,” follows Conor’s meticulous craftsmanship at MIT’s furniture making workshop. Viewers can learn everything from 3D modeling and 3D printing, to wood steaming and bending. This particular swooping chair is made from 1/8” steam bent, glue laminated strips of ash secured at each end by folded steel shoes. The arms and legs of the chair work in unison as a type of double bow spring structure — strong, yet flexible enough to respond to the movements of the user. Check out the video below and watch the design come to life on his YouTube vlog. Fascinated by the design process? Conor Coghlan, a recent architectural graduate from the Harvard Graduate School of Design, has debuted a YouTube series documenting his development of his Bow Spring Chair. The series, aptly named "How to Make a Chair," follows Conor's meticulous craftsmanship at MIT's furniture making workshop. Viewers can learn everything from 3D modeling and 3D printing, to wood steaming and bending. This particular swooping chair is made from 1/8” steam bent, glue laminated strips of ash secured at each end by folded steel shoes. 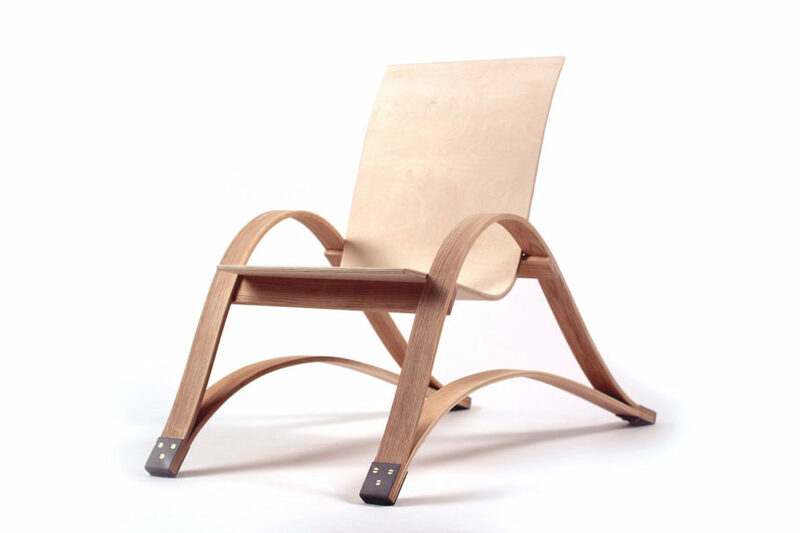 The arms and legs of the chair work in unison as a type of double bow spring structure -- strong, yet flexible enough to respond to the movements of the user. Check out the video below and watch the design come to life on his YouTube vlog.